For the last few months every spare moment was allocated to finding a home, now that the search is over, I now devote all my time to home renovations. The clock is ticking to moving day, my time is divided between de-cluttering, packing and of course shopping for all the items for my new home. To be honest, as much as I like the idea of having my home look exactly how I want it to look, acting as project manager to my own dream home is a daunting and time consuming task. My evenings are now spent scouring the edges of the internet to find good deals. I am obsessively reading reviews on all products, flooring, faucets, paint, appliances, the list goes on and on. My first step was to go on Pinterest and prepare a fairly unattainable Pinterest board of what I would like my home to look like. I then called contractors and told them what I wanted to do with the place and received quite a few gasps. Majority of them told me that my timeline was out of whack, I didn’t have the budget to complete my project and that I was going to have to make quite a few compromises. Not exactly what a new home owner wants to hear. Especially because currently my new kitchen looks the design inspiration is Pepto-bismol, not exactly move-in ready. Make a list, write out all the items that you need to replace, the items you would like to replace and the items you may do down the road. For me, redoing the flooring before moving in was at the top of my list. The next item tackling my watermelon kitchen and last but not least, fresh paint. Once you know what needs to be done start researching. I used websites like Real Simple, Houzz and home decor blogs to learn more about painting, flooring, appliances and pricing. I also researched what updates added value. No use spending money on items that wouldn’t have any re-sale value. 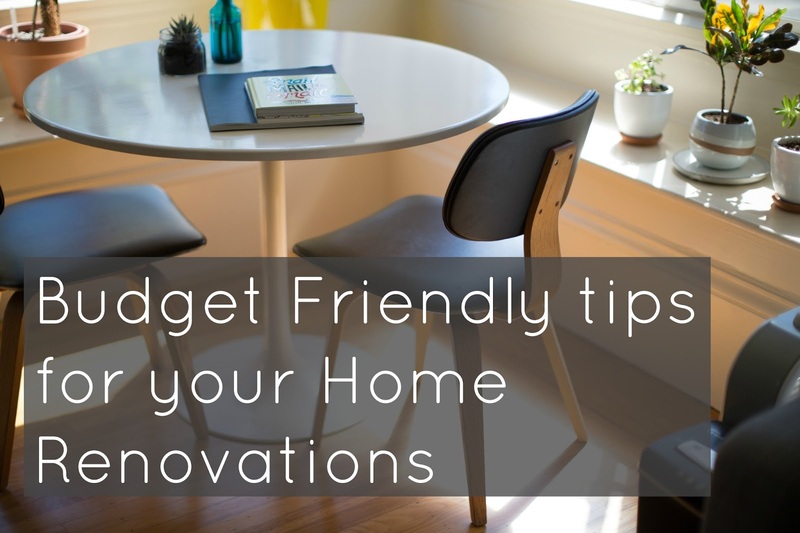 Adding Laminate floors, altering designs so they don’t accommodate standard size appliances, and trying to be too trendy were some of the things I discovered were big no-nos when it comes to home renos. I had given up on having exactly what I wanted. I made some compromises, but I am still happy with my decisions. I couldn’t afford marble, but I could get quartz and add a waterfall, hardwood is out of my price range but engineered was a good close second and if I get 3 MM of real wood it can be refinished down the road, and to really cut costs I had to explore the idea of painting on my own. I tried to take the short cut, there were too many independent stores to visit and I thought big box stores like Home Deport, Ikea or Costco would be the answer since they order such large quantities. I wanted a one stop shop, just get in and get out. My dad helped me do some digging. Since my budget is tight and not matter what, I did not want to give up my kitchen re-do I really had to do my research and make it work. 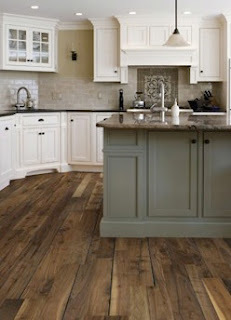 I found independent flooring companies and kitchen companies that have very good pricing. They came in much lower than the big box stores and quality is better value. I also signed up for all the home store mailing lists so I could be aware of all upcoming sales. The internet is an amazing tool to price compare, for small appliances I saved a couple hundred dollars ordering them from Amazon. Stretching my budget means a little DIY help. I looked up everything on YouTube and decided the items I could do with my mechanically inclined boyfriend, and which items I would need to hire someone for. Be sure to factor in your time, the tools you have at your disposal and any deadlines that you may have to meet. Sometime DIY is not cheaper and will not give you the best results. Free Craiglist is where you find all the treasure hunters and they will do the work for you. I listed the items that I just wanted gone for free, and the items that I felt were worth some value for reasonable amounts. Why pay to get rid of something, when someone else could use it. This goes for everything! If you are replacing something check your measurements, then get someone else to check your measurements and then take pictures. It is important to have some concrete numbers when getting an estimate. The same goes for paint colours, what looks good in the store may not look good in your home. Bring the samples into the room to see what they look like. Make sure you take into account all the elements, so you can picture how everything will come together. Tomorrow is my big day to start painting. I will be sure to post some before and after pictures and do a detailed post of my home transformation. Hopefully now that I have purchased everything I need and scheduled all my appointments this project will be running smoothly. Good luck with your own renos! I would love to hear any tips or tricks you may have!